Over the years, imported vehicles are quickly becoming popular among Australian car enthusiasts. That said, the ‘Land Down Under’ opened its doors to low-cost used cars from Japan. The wide selection of vehicles and the affordability are two desirable qualities that made an impact on many Aussies. The process of purchasing one has become more convenient as the option to join a Japan auction has been made available for anyone. However, it is worth noting that importing a used vehicle into Australia can be complex because of the various rules and regulations. Moreover, there are tons of paperwork a buyer must accomplish to be able to claim their vehicle. Here at Carused.jp, we always find ways to make the process easier. You can contact us and we will guide you through the steps. Alternatively, you can read our step-by-step instruction below to give you an idea about the used car import procedure in Australia. We have an online catalog which lists all the available vehicles in our stock. You can go through it and choose the car make and model you prefer. Contact us and we will provide you with a free quote. If you approve the quotation, let us know and we will send you a pre-forma invoice. However, if you can’t find the vehicle you like, you can join our online Japanese car auction and bid for the car your like. Once you’ve received the invoice, pay for the full amount within 48 hours. After that, email us the T/T documents you acquired from the bank. By now, you should have paid for the FOB, the shipping fees, and the charges from Japan to the discharge port. Alternatively, you can settle the payment via PayPal. We will send you the invoice with the link to the PayPal site. Click the link, log in, then confirm your payment. 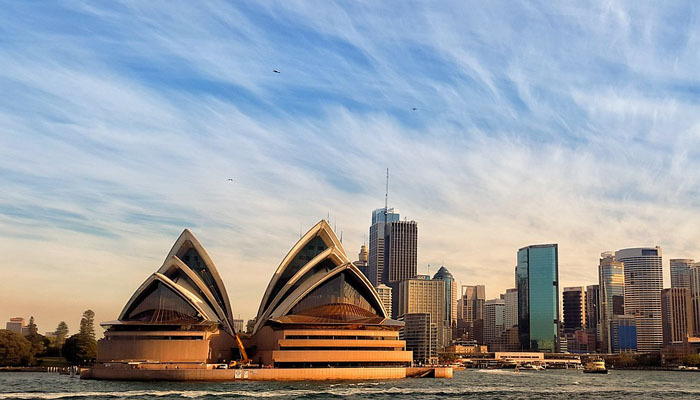 When shipping a used car to Australia, you can choose from six ports of delivery—Brisbane, Sydney, Melbourne, Darwin, Adelaide, and Fremantle. Before we load your vehicle on the ship for delivery, we recommend that you acquire a valid Vehicle Import Approval (VIA) first. We will discuss this further later on. After that, we will load your car on the ship for delivery. You will receive a notification regarding the ship’s departure and arrival time. We will also send you all the necessary documents that should come from our end. All you have to do is process the fees and requirements in Australia, and you will be able to claim your car. When importing a vehicle in Australia, you do not have to worry about age limitations. However, do not that the duty is dependent on the age of the car. The Australian Customs Border Protection Service and the Department of Infrastructure and Transportation remind individuals not to attempt importing a car into the country without securing a vehicle import approval. That said, the car must meet the criteria laid out by these governing bodies. It is essential to contact the Department of Infrastructure and Regional Development before you import any motor vehicle. This way, you will know that learn about the conditions you have to follow to ensure that your car will be cleared for shipment. Before you settle the shipping arrangements to Australia, we advise that you apply for a Vehicle Import Approval (VIA) from the Department of Infrastructure and Regional Development. It is prohibited to ship a car to Australia without first obtaining a valid VIA. No matter the declared value of your vehicle, you must acquire a VIA. Once you’ve arranged the shipment of your car to Australia, make sure you lodge an import declaration with the Department of Home Affairs. You can claim your vehicle once you’ve provided a valid VIA and you’ve settled the customs duty, GST, luxury car tax, and other fees, where applicable. It is important to ensure that the internal and external components of the vehicle are clean and free of biosecurity contamination before it is shipped to Australia. Please feel free to contact us and discuss proper arrangements for this requirement. Can’t decide which car to import to Australia? Check out the best-selling used vehicles in the Land Down Under! Identified by the red Honda badge, the Type-R is the highest performance variant of the Civic line. It has special sporting characteristics and features that make it distinct from other Honda models. What’s more, it is a versatile car that can be used for your daily commute and your heart-pumping weekend adventures. The Mazda RX-7 is a great-looking vehicle that has aged well from its roots in the 90’s. It has enjoyed some glory days in various motor sports, including rally racing, drifting, endurance racing, and touring cars. The Mazda RX-7’s capabilities are so legendary that it made several appearances in movies, video games, and anime. The Mitsubishi Delica is a 4WD vehicle that was exclusively sold in Japan. However, importation rates of this model have increased over the years and it is not surprising why. Its cabin is spacious enough for a big family and the engine is reliable for long travels. The Toyota Alphard is like the van version of a Lexus. It is perfectly tuned to transport passengers with premium comfort. In this vehicle, your driving experience will be smooth as the suspension effectively absorbs road imperfections. In general, people outside Japan recognize the Nissan Skyline as the vehicle from popular movies and video games. It has made a slew of appearances in The Fast and the Furious, Grand Theft Auto, Need for Speed, and Battle Gear. If you want to have the ultimate racing experience, then it’s high time you import a Nissan Skyline to Australia. Should we include it as our final cost? Hi Steve, The Customs Tariff Act 1995 Special Duty $12,000 has been removed on imported used vehicles from 2018. Hope This clears things up! if you have any questions please don’t hesitatet to ask us!